Gennedy told a story about a baritone saxophone that a man named Friedman played. 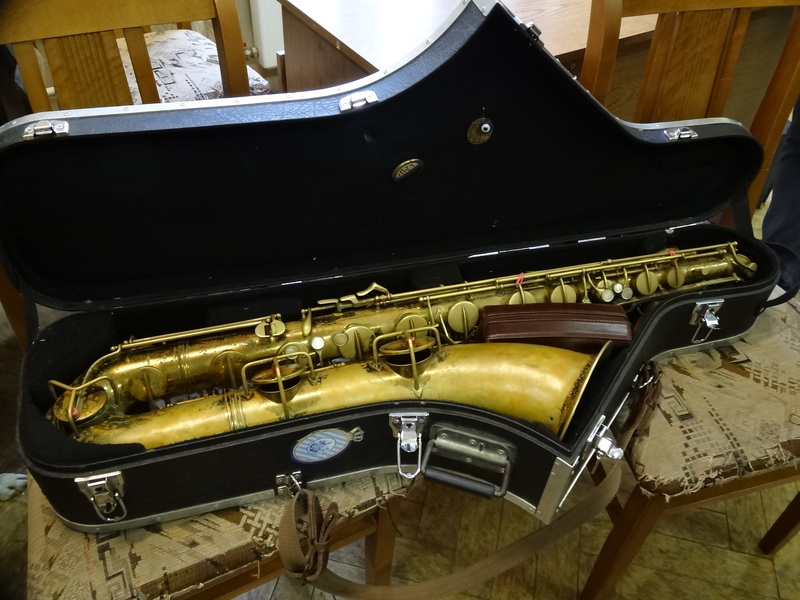 Friedman had been exiled in Riga (in Latvia) in the 1950s or 60s and when he got out he bought a saxophone that was buried under an apple tree. Friedman dug up the saxophone and took it to Moscow. 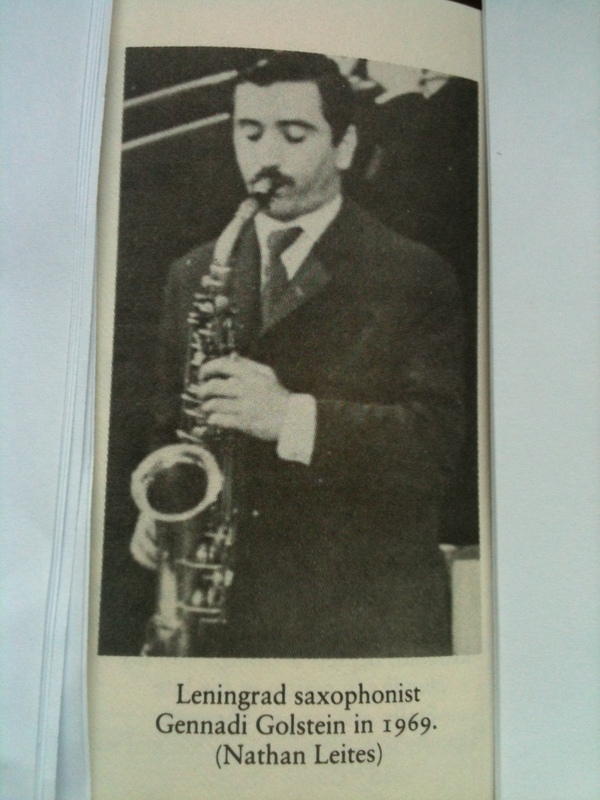 That saxaphone was then sold to Sergei, one of Gennedy’s students, who brought it back home to St. Petersburg. I am honored to have been able to meet such a jazz legend. The two hours that Gennedy spent with me pouring over photos is like getting to sit down with Gerry Mulligan or Stan Getz and have them share their stories. 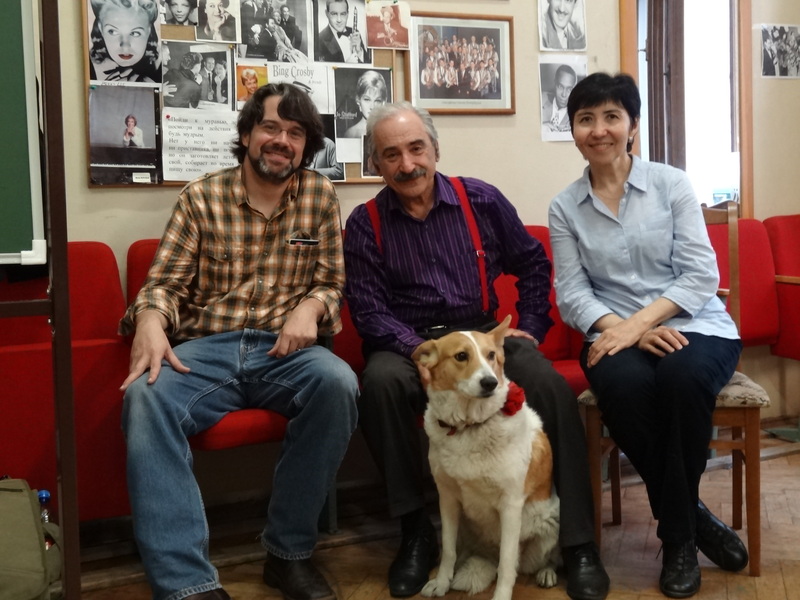 Oh…and Gennedy also brought his dog, Lucy, who runs beside him as he pedals off on his bicycle.